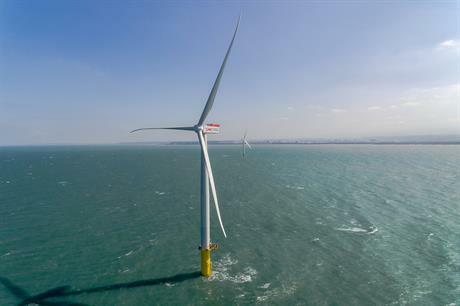 TAIWAN: The ministry of economic affairs (MOEA) plans to select 3.5GW of offshore projects by the end of April, and auction a further 2GW later this year, it has announced. Of the inital 3.5GW of capacity, 500MW must be commissioned by 2020, with the remaining 3GW to be operational between 2020 and 2025. The ministry also plans to auction a further 2GW of projects by the end of July. Under the selection process, projects will be judged "according to (their) technical and financial capabilities", the MOEA said. "Technical capabilities" include construction (with a weighting of 25%), engineering design (20%), operations and maintenance planning (15%), according to an MOEA document outlining its grid allocation guidelines published in January. While "financial capabilities" include financial strength (30%) and associations with domestic financial institutions (10%). Earliest commissioning year and grid connection points will also be considered, according to the MOEA’s grid allocation document. In the auction, the bidding price of the FIT received would be the main factor in allocating capacity, the MOEA stated. The indicated commissioning year would then be considered. The ministry has not specified a timeline for commissioning projects allocated through the auction process. The auction and selection process is being carried out to "establish [an] industrial supply chain, as well as to speed development of offshore wind", the MOEA explained. In the past few years, several manufacturers and developers have opened offices in Taiwan. The Taiwanese government has an offshore wind target of 5.5GW and a renewable energy target of 20%, both by 2025. To date, Taiwan has just 8MW of installed offshore wind capacity, and sourced 6.5% of its electricity from renewables in 2016.